The MLAs, who would cast vote in the August 8 Rajya Sabha election in Gujarat, will have the option of NOTA. The Congress will also issue a whip to all MLAs, including Shankersinh Vaghela, who resigned last month to ensure that Ahmed Patel is voted back into the Rajya Sabha. The Bharatiya Janata Party (BJP) has fielded party president Amit Shah, Union Minister Smriti Irani and Balwantsinh Rajput against the lone Congress candidate Ahmed Patel. 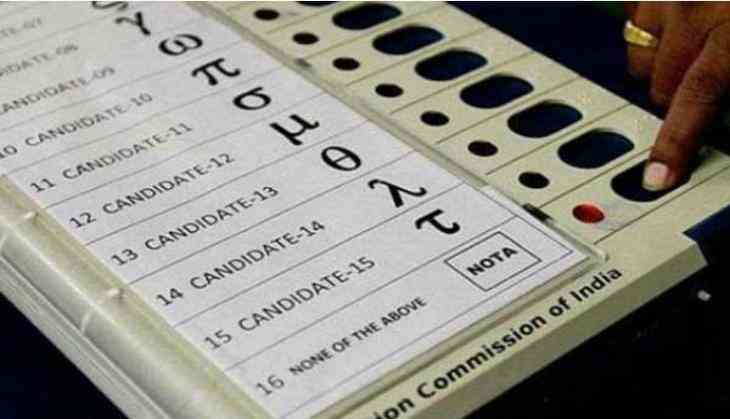 Rajya Sabha elections do not take place by secret ballot as the voter has to show the marked ballot to the party's polling agent before putting it in the ballot box.